It’s official. We have joined the developing world and turned our weddings into lavish showing-off ceremonies. Even in these globally difficult financial times, people are still going deeply into debt; or holding ridiculously large and aggressive fundraising drives in order to finance their weddings. But here’s some news: Having a wedding need not cost you the very roof over your head. At a time when employers are cancelling pay rises and bonuses and money may be increasingly difficult and expensive to borrow it should come as welcome news that there is a way you can have a fantastic wedding without having to break the bank. The first step is to convince yourself not to give in to pressure from peers, your parents, siblings- whoever—just to make others happy. Try not to lose sight of the fact that this is your day, and it’s there to celebrate your marriage, nothing else. A big, puffy, expensive dress is not the only way you can look good walking down the aisle. Conversely, an expensive wedding is not necessarily a classy wedding. Finding new and innovative ways to save on a wedding often make it unique. 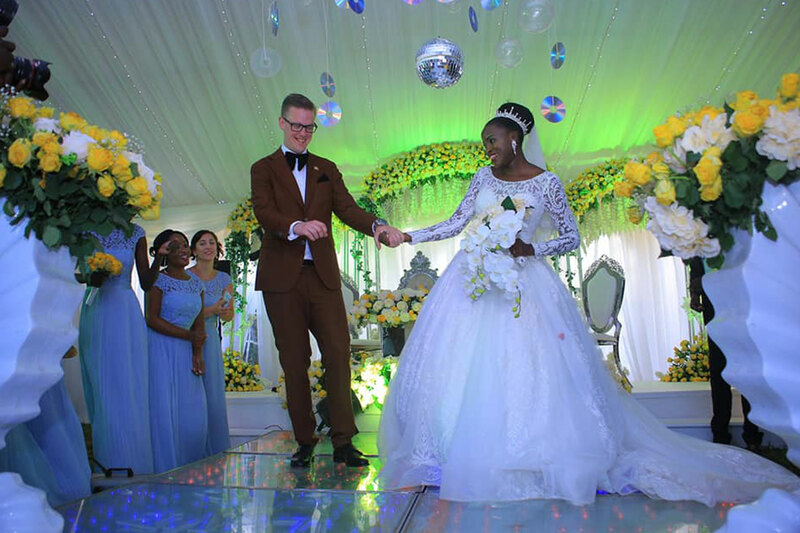 James and Charity Beingana of Kawempe, for example, decided to serve their guests cake in church after their wedding. There was no reception; just a simple party in church after the couple exchanged vows. It was obviously low key—and inexpensive—but it was also classy and original. It was the talk of the village for quite a while afterward. If the prospect of trying to pay for a full-scale wedding reception makes you feel like eloping, consider instead a candlelight dinner for your intimate friends following your nuptials. It could held at a restaurant, or even better, at someone’s home. Got a photographer in the family? A musician? A graphic-artist? A bartender? Tell these people you’d like to make use of their talents, perhaps as a wedding gift. And when you give your speech, thank your cousin Fred the designer, who did your beautiful invitations. Instead of that duplicate salad bowl cousin Fred probably would have given you as a gift, you received his beautiful invitations instead and saved money. Have your heart set on a lavish cake? Consider investing in a cookbook. Or simply use the Web to get thousands of cake recipes. Pour and mix until you come up with a great cake. Sure, you’ll still have to pay for the ingredients, but you’ll have saved on what you would have paid in labour, transport and all the markups your bakery is probably charging you. If you simply do not have the time and insist on buying the cake, believe us: It’s not necessary to have 20 tiers, one for each member of the family to carry back home. There is no law against serving a small cake for ceremonial purposes—or no cake at all— and being done with it. Your dream dress just came on display in the window of your local bridal shop. The price tag says you could not possibly afford it without causing a dent in your bank account. It’s either your dress or that fund you were slowly building on to buy a car someday. Go with the car. You’ll enjoy it for a lot longer than one day. One way to do this is by choosing a design—or a photo—of your dream gown and hiring a tailor to sew it for you. You will find that buying your own fabric and then haggling at the tailor’s can slash the price by about 30 percent. For Jackie, a plus size woman, this happened by accident. “I tried to find a changing dress in a shop, but nobody seemed to have my size,” she explained. “So I sought out wedding magazines and Internet sites for a desirable fashion.” She eventually found one, bought her own materials and then headed to her tailor’s shop. In the end, Jackie found she had paid about 150,000 less than what she was being asked for the same sort of dress in some boutiques. An even cheaper option is to rent your gown. Consider the fact that you are, in all probability, going to be wearing it just once anyway. 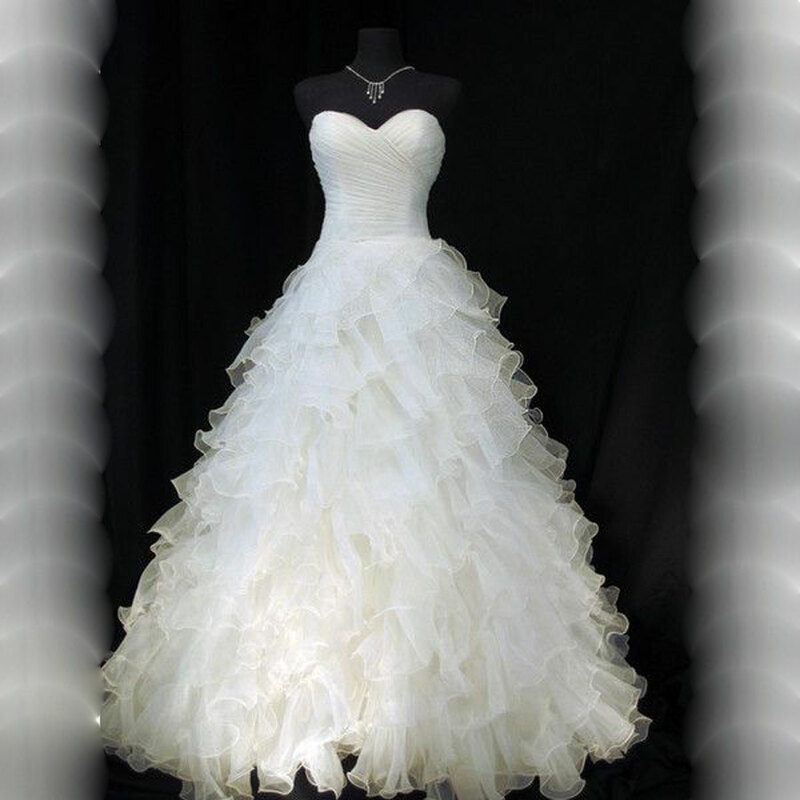 Most bridal shops in town offer a rental option for the majority of their fashions. 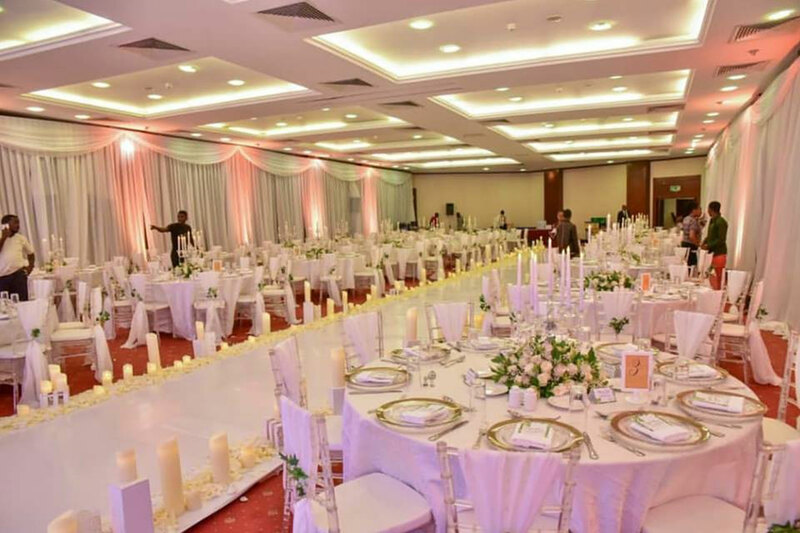 Popular reception venues around Kampala tend to charge astronomical prices. Just say the word “wedding”, and you will likely be asked to part with Ush 1 to 2 million just to rent someone’s grassy expanse for about six hours and more if it’s a nondescript windowless hotel ballroom you’re planning to celebrate in. To avoid all this, why not hold the reception party in your backyard, or in the backyard of a friend of relative who has an especially lovely and spacious compound? It’s more personal and, if you choose the right place, probably at least as attractive as most rental options. Which brings us to one of the simplest ways to cut down on wedding costs: cut down on the length of the guest list. Can some of those distant friends and relatives be invited to only the kwanjula? Remember, it is your wedding, in the end. If you truly keep your function small, with only close friends and family members on the guest list, it’s less likely that people will end up with hurt feelings. If you can do it without causing a family world war, it’s a very effective way to save money. But take care. Only you know what your family—and that of your fiance—will find acceptable. Another alternative is to cut down on the number of venues you’ll be hiring: Ask your officiant to marry you at your reception venue. Couple’s were allowed to have maids if they wished to. 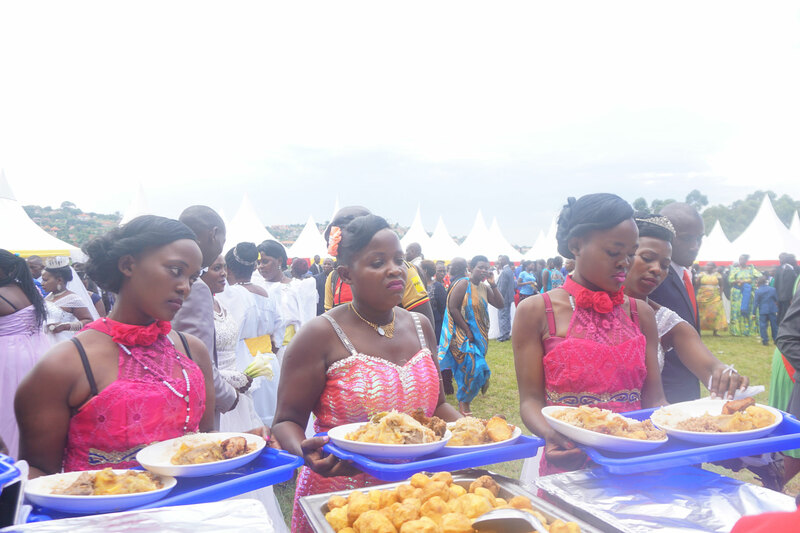 However many your guests number, hiring a catering service to feed them, in keeping with the latest trend, will probably cost you a lot. Yes, it saves a lot of hustle and effort, but it also eats into your pocket. Consider that a relatively modest catering service will charge you at least Ush 7, 000 per guest. 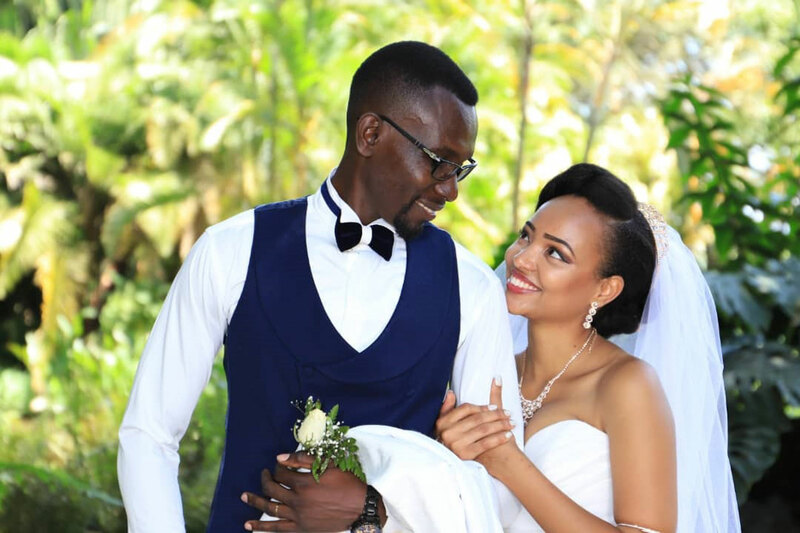 Rather, if you enlist your girlfriends, sisters, aunts and anybody else who volunteers to help to pitch in, get up early on your wedding day and cook, you can have a delicious home cooked wedding meal for a fraction of the cost of hiring a caterer. Or have everyone bring her favorite special dish (though be organized about it, so you don’t end up with 12 plates of roasted chicken.) Another option is to simply serve snacks to your guests rather than a full meal. The key to that sort of wedding is make sure the reception starts well after lunch. And to avoid hungry—and angry—guests, make it clear on the invitations that “hors d’ oeuvres” will be served at the reception rather than a full meal. Every bride wants to look pretty on her wedding day. Usually, a professional salon is considered a must. But the simple truth is that not every bride actually needs to pay a salon in order to look her best. After all, most women know best what does and doesn’t look good on them. Why not experiment with doing your own makeup and hair? The key here is practice. It’s true that your wedding day beauty needs are going to exceed those of your every day routine. Study magazines to get ideas and ask your friends to help you. True, you’ll have to invest in some makeup and other beauty supplies, but at least this way, you’ll get to keep it afterward! 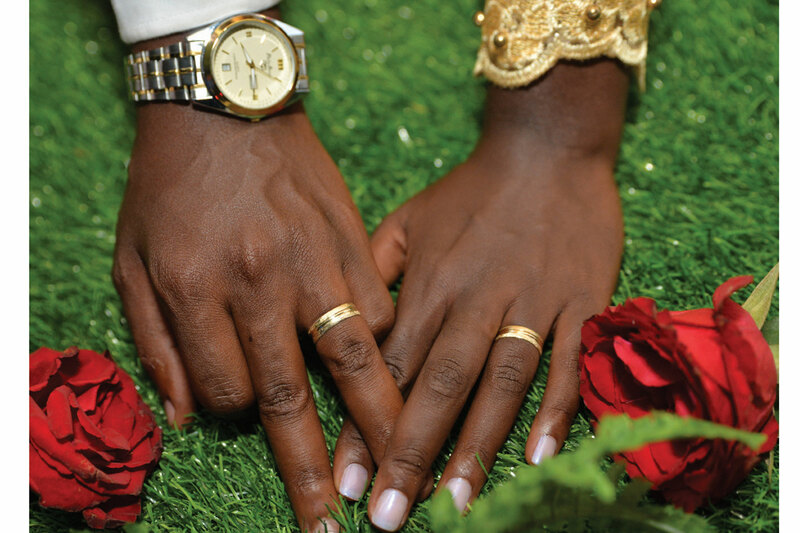 Those who insist on having a traditional wedding with all the trappings can still cut corners in small ways. 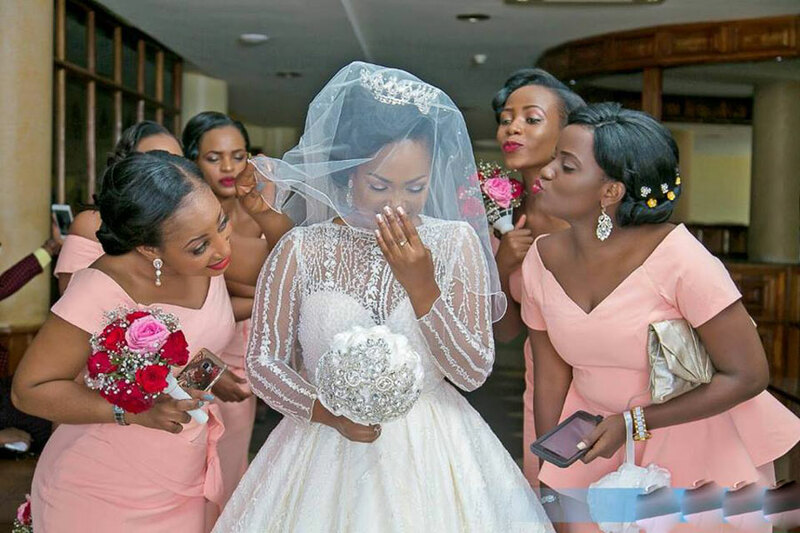 Try to enlist a maid of honour and bridesmaids that can afford and don’t mind paying for their own dresses. (According to conventional wedding etiquette, they should anyway.) Alternatively, simply forgo the matching bridesmaids outfits and tell them to wear a dress they already own. (Some brides simply ask their maids to wear one colour, such as black, which is common and looks elegant.) At the end, presenting each of them with a small, token gift (perhaps from your honeymoon?) to thank them for being your bridesmaids is a nice gesture. Alternatively, consider simply using fewer bridesmaids, or none at all. In the West, it’s done increasingly frequently. Cut on church costs by getting a priest (wouldn’t it be nice if you had one in the family?) to wed you at the reception area. Limo1, Limo2, S class Mercedes Benz—these are the cars that say “wedding” here in Uganda. 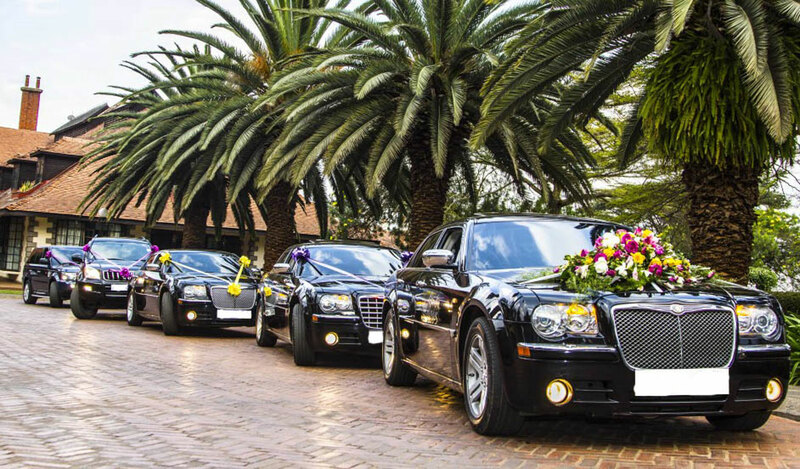 Plush and showy, these well kept cars are perfect for getting to and from a wedding; no wonder couples that ride in them become the talk of their father’s friends. Still, let us not forget their main point, which is to ferry the bride and groom at the end of the day from point A to point B —from home to church, from church to the reception, etc. Is it really necessary to have a convoy of Benz’s? Why not consider driving your own cars or get your friends and relatives to lend you theirs? The bride and groom could ride in the most stylish loaner vehicle of the lot. What about all those extra gimmicks people are using now, such as wedding planners? Ladies and gentlemen on a budget: No! You’re perfectly capable of planning your own wedding. A changing dress is nice but is it really necessary? You could do it as they do it in many other countries and choose just one,(preferably comfortable) gown for the whole day. Decorations are recyclable or even free if you employ a little creativity. Get ideas from someone who recently threw a wedding. 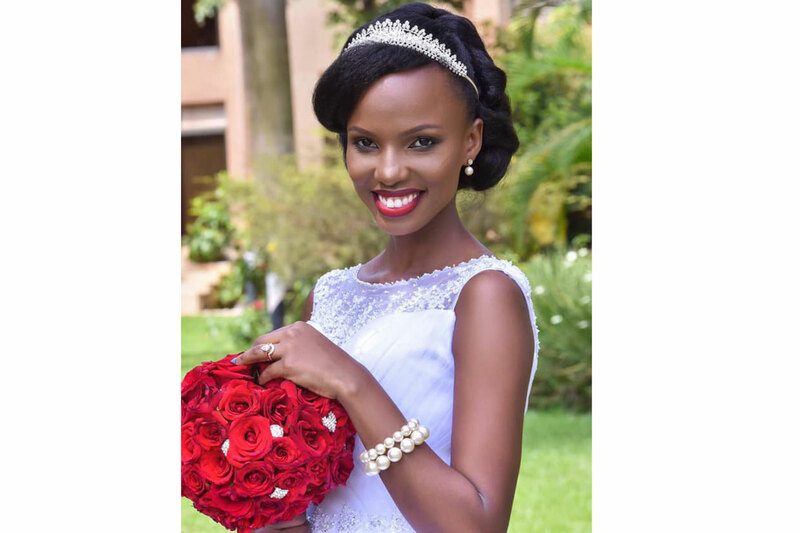 Especially if you get married outside, there are countless examples of beautiful and uniquespots to get married in Kampala.